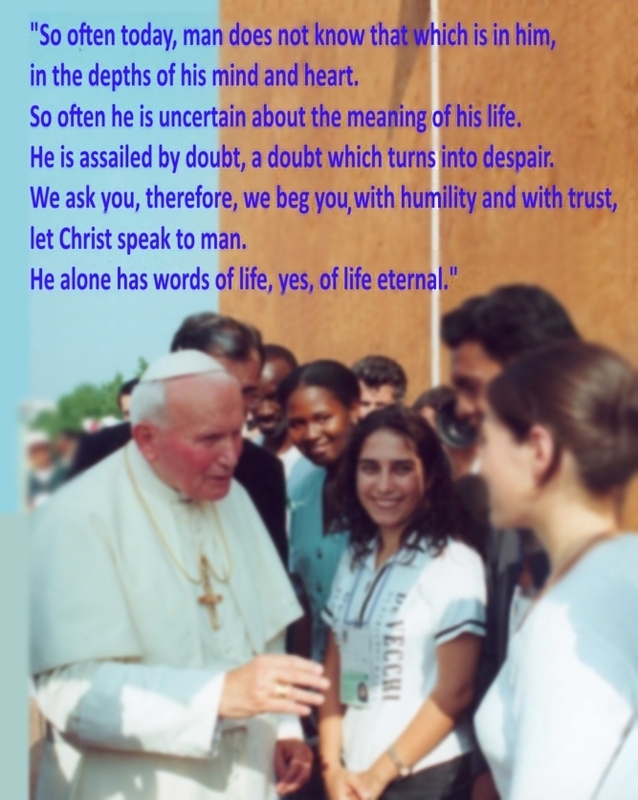 The mission of Saint John Paul II is encapsulated in these brief words. "Let Christ speak to man." If we know Jesus Christ, then we know that He is what the world needs. He is what every human person needs. He gives meaning to human life. He alone is our hope for eternity, and for building a civilization of love in this world. With humility and trust, we must let Christ speak to man today, to our world, to human hearts... beginning with our own. We Can Make a Difference in the World!